When I am travelling I still try and maintain my daily habit of exercising. I am a qualified personal trainer so enjoy exercising but I must admit it can often be challenging trying to keep your routine when you have small children. Usually I end up going for a run as it is easy to drag the kids along with me! JJ rides her bike and Master B is strapped into the pram and comes along for the ride. 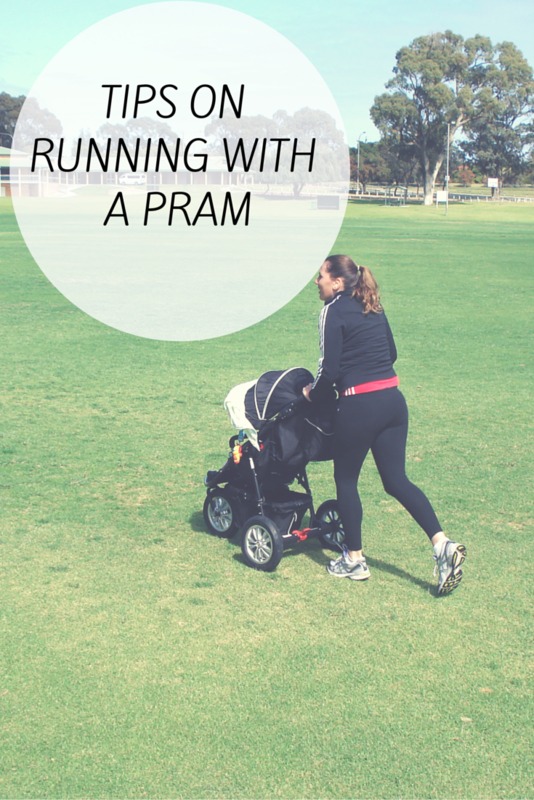 Running with a pram can be challenging and it is not as easy as some people make it look. It takes time to get used to not using your natural arm swing while running. I am still mastering how to take corners as I always seem to take a very wide corner! Doctors clearance – Talk to your doctor about when you are able to exercise after the birth of your baby and get a doctors clearance before you start your exercise program. Child Age – Your baby has to be at least 6 months before you are able to run with a pram. Before then you can go for some brisk walks! Pram – Buy a pram that is designed for jogging. Lock in the front wheel before you start running as it is much safer. When the wheel can swivel it is a lot easier to tip the pram if you hit a bump. Turning with the wheel locked in is challenging but you get used to it (I am still trying to master this skill). Tires – Make sure the tires are filled with air to make it easier to push. Safety strap – Ensure that you have the safety strap around your wrist at all times. Grip – Have a secure grip on the pram at all times. Legs – Push with your legs and try not to hunch over the pram as it will put pressure on your upper body. Keep an eye on your posture. When you are travelling and have small children it can be hard to get motivated to exercise but personally I find it helps to lift my mood, increase my energy levels plus it is a good way to get out and see the sites. Thanks a lot for sharing these tips. It’s always great to learn from PTs.